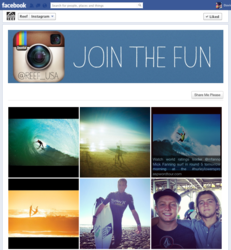 North Social (http://www.northsocial.com), a provider of Facebook applications for over 24,000 businesses, has released a new Instagram app that will enable brands to display their Instagram content on a Facebook fan page just in time for the photo-friendly holiday season. 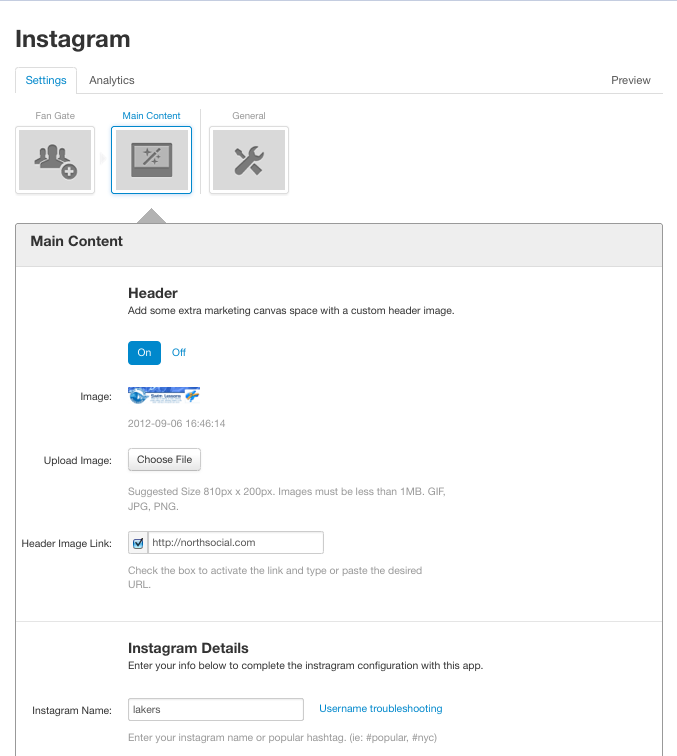 The fan-gate ready Instagram app enables page managers to filter and feature their Instagram images from a username or #hashtag and showcase them in high-res glory on the large Facebook canvas along with social commenting and viral sharing features. 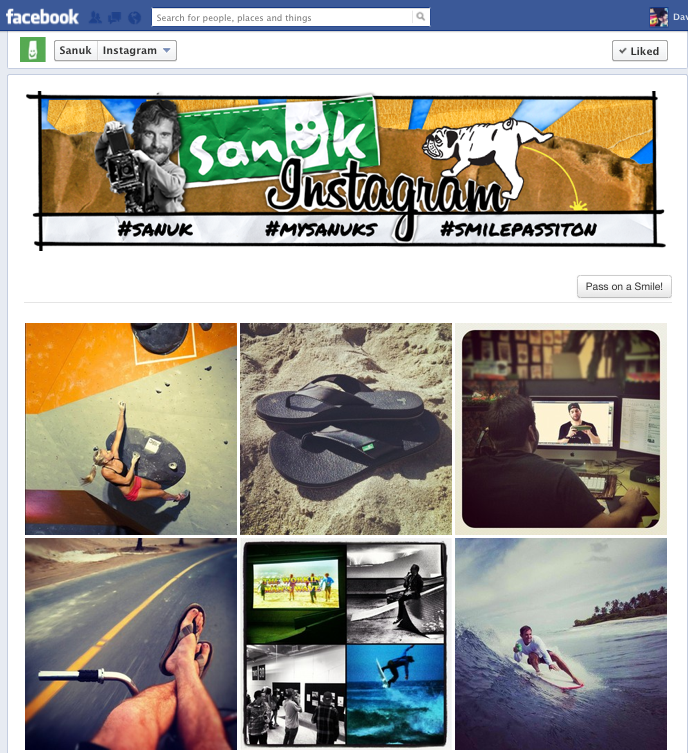 “Our users have been asking for a way to bring their Instagram content onto their Facebook page so they can inspire deeper engagement using this popular new platform recently acquired by Facebook,” explains Chris Mottau, General Manager, North Social. “Allowing brands the ability to integrate Instagram, a mobile platform with over 100,000,000 million users, into their primary social media destination creates a more cohesive consumer experience”. North Social also has built in an optional comment box into the app to encourage chatter around and sharing of a brand’s Instagram content. Fan page managers can either use the native Facebook Comments or a 3rd party module from Disqus, which provides additional flexibility for brands that want to use the app for promotional purposes. The new Instagram app and 20 additional Facebook apps are available in North Social’s app buffet on a flexible pay-as-you-go basis, starting at just $0.99 per day. Fan Page managers for any brand, big or small, can now run highly efficient social media-based promotions without the commitment to a long-term contract. To see the North Social platform applications in action, view pricing plan details, and learn more about their custom application development services, visit http://www.northsocial.com. Vocus (Nasdaq: VOCS) is a leading provider of cloud marketing software that helps businesses reach and influence buyers across social networks, online and through media. Vocus provides an integrated suite that combines social marketing, search marketing, email marketing and publicity into a comprehensive solution to help businesses attract, engage and retain customers. Vocus software is used by more than 120,000 organizations worldwide and is available in seven languages. Vocus is based in Beltsville, MD with offices in North America, Europe and Asia. For further information, please visit http://www.vocus.com or call (800) 345-5572.